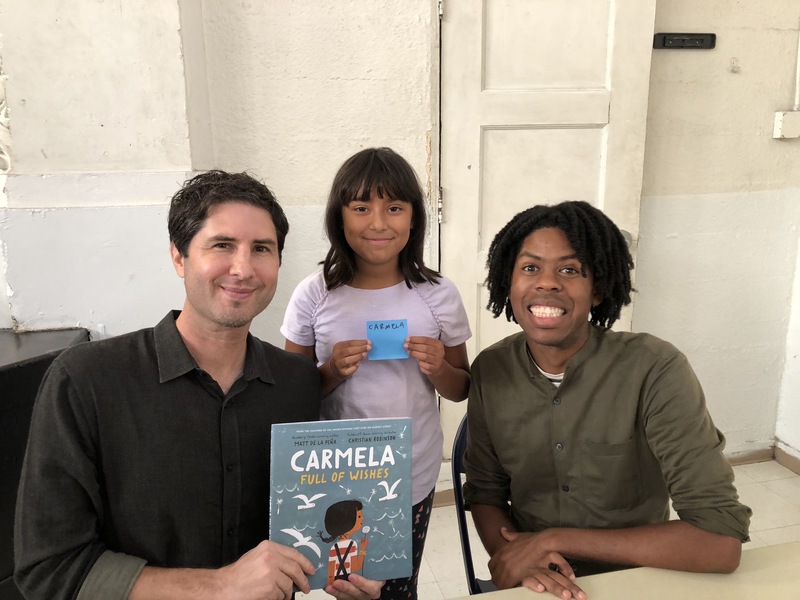 Earlier this month, Christian Robinson and I finished a three-week tour for Carmela Full of Wishes. It’s always an honor to be sent on the road for a book, but this one was special. This was a book dedicated to my Mexican grandparents. 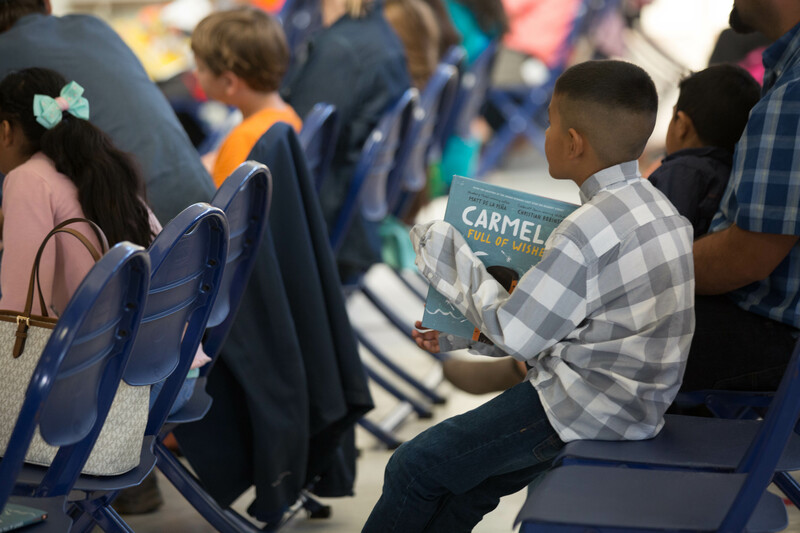 This was a book celebrating family and community and the power of hope. Here are some random thoughts and observations . . .
-I’m all about respect for the ones who come before you. And the stories they’ve told with their lives. But in this case the dedication stretches beyond my own family. 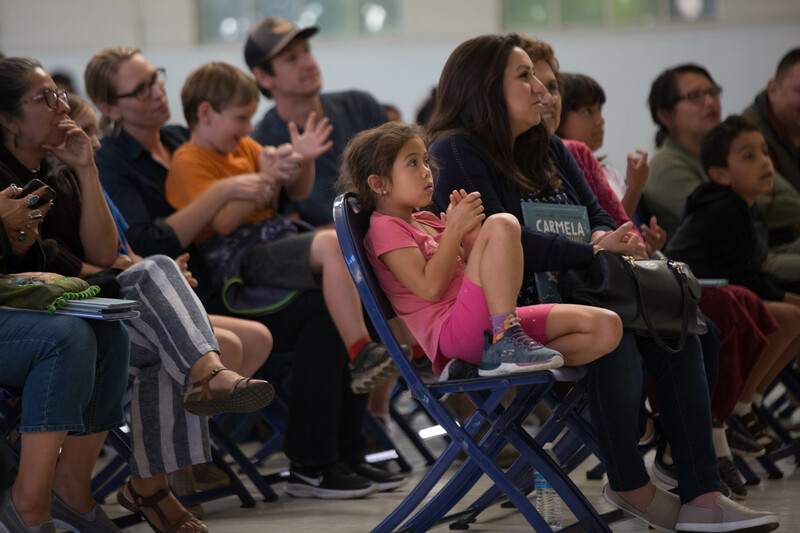 Today sixteen million people in the United State are living in mixed-status families (where family members share a different immigration status). But that’s just a number. A stat. It’s important to humanize stats like that with narrative. Carmela is one of those sixteen million. 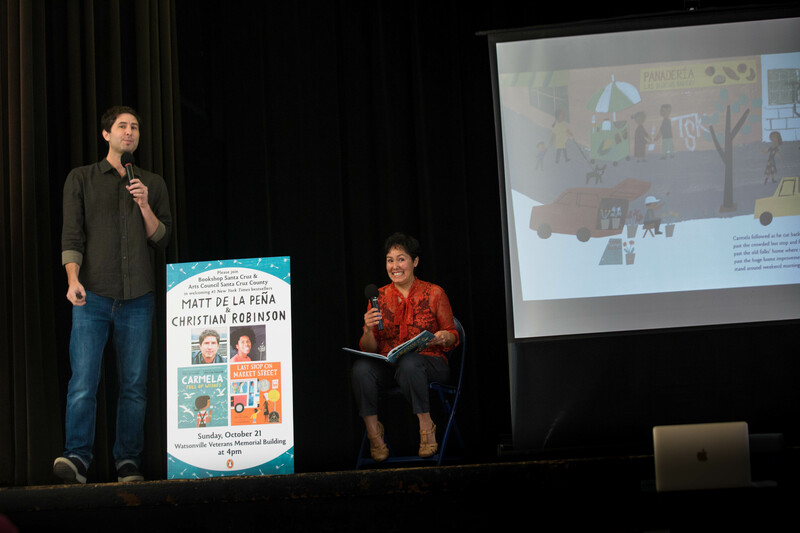 It was wonderful to introduce her story at schools where many kids saw themselves reflected in the pages of the book. 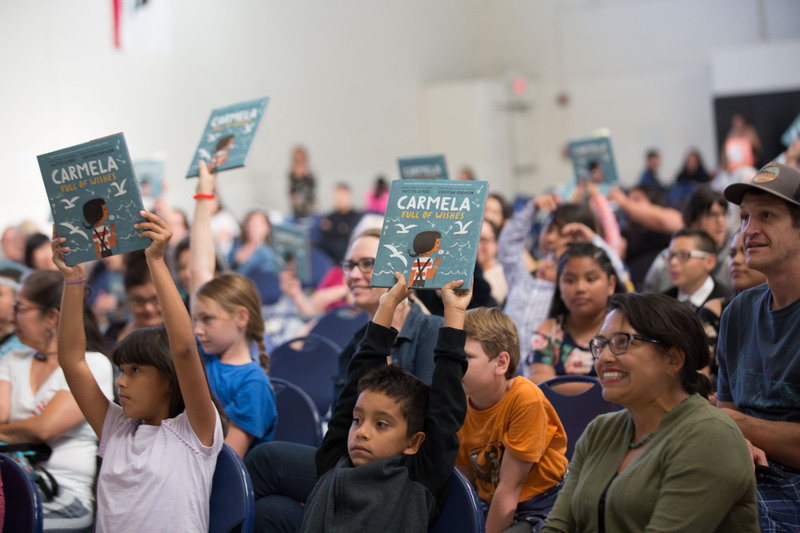 But it was equally rewarding to present the book to kids who had never met anyone like Carmela. To kids who had never thought about all the young people out there who are actually LIVING the immigration debate every single day. Books featuring diverse characters are not just for diverse readers. 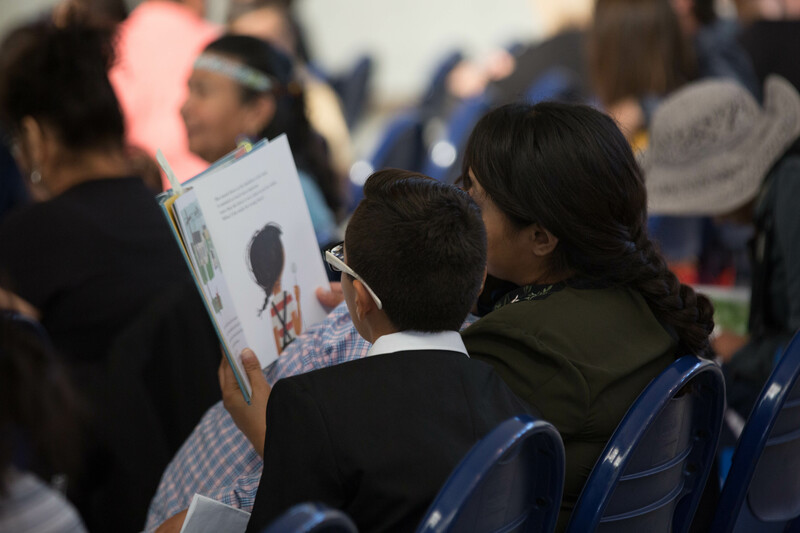 They’re for ALL readers. -We met a few real-life Carmela’s along the way. 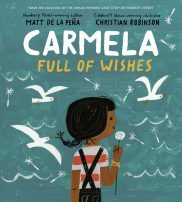 -Carmela Full of Wishes takes place in a real place. It’s called Watsonville, CA. 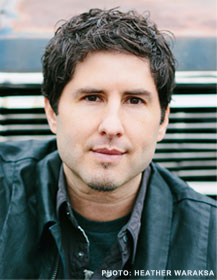 It’s a predominantly Mexican community near Santa Cruz. There’s a real Freedom Boulevard. The most powerful moment on tour for me was when we presented the book in an old auditorium in Watsonville (thanks to Bookshop Santa Cruz). So many amazing people from the community came out to share the experience with us. 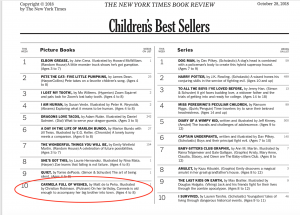 -We’re thrilled that Carmela spent a couple weeks on the New York Times Bestseller List! What a thrill to know that a quiet story featuring a Latinx protagonist can be a commercial success. Thank you, Penguin. Thank you, booksellers. 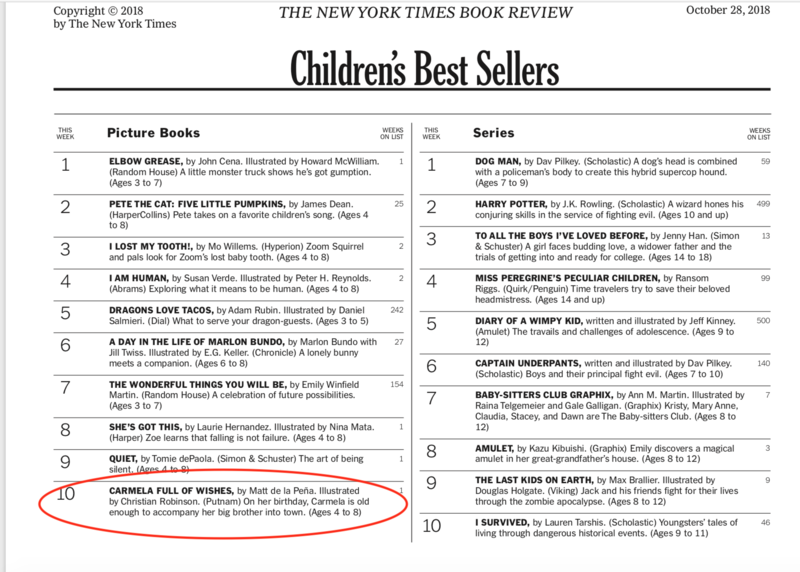 And thank you, Readers! 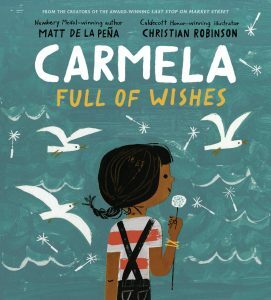 -Carmela Full of Wishes is an American story. If you look closely enough, you’ll see that even the cover is meant to subtly represent the American flag. -For those of you who came out to see us along the way . . . thank you so much! This book means the world to me, and I had a blast sharing it with readers young and old. Thank you!